Controlled Products is the world’s leading manufacturer of turf. Our influence extends from initiating research. Most of the innovation in the turf industry for over 25 years is due to our commitment. We incorporate the latest technology into each project and into our state-of-the-art facilities in Dalton, Georgia. We are equipped to develop, market and package innovative, customized turf solutions. We are still the industry leaders in innovation and technology, so we can build any turf you need. We also build long-term relationships with our dealers, worldwide. Controlled Products is committed to advancing the turf industry. Back in the 1960's the Chemstrand Company was developing a new synthetic fiber for use in carpeting. They were encouraged by the Ford Foundation to use this technology to develop an urban playing surface. It seemed that urban kids were less physically fit than kids living in rural areas. With the goal of creating a natural looking play area that could be set up and maintained easily inside a city, Chemstrand turned its attention to creating a product that "looks like grass and acts like grass." They worked for years to formulate something that could replicate the look and feel of natural grass. Early results were marginally successful; however, the initial technology, used primarily on athletic fields, did not allow the athletes a full range of natural movement. Throughout the 1960s, Chemstrand worked to improve the technology. As the industry grew, synthetic turf spread from playing fields to large-scale sports arenas and beyond. What has once been impossible became possible, and the uses for this new synthetic turf exploded. Research and development continued to improve and diversify the range and quality of products and services that were available. In the 1990’s, new technologies allowed for the creation of more durable and versatile turf, and the industry experienced a complete revolution, thanks to scientific breakthroughs on everything from synthetic materials to adhesives and backing systems. The industry as a whole has seen more advancement in the last 10 years than in the previous 40 years. Focus on infilled polyethylene and polypropylene products has expanded the uses for synthetic turf exponentially. Ideal for residential and commercial landscaping, golf courses and playgrounds, there are new ideas constantly springing up as the technology allows for more diverse applications. Thanks to new developments, there are hundreds of new ways to utilize synthetic turf. Safety, loyalty, and quality go hand in hand. We build long term relationships with each dealer and customer that we work with, ensuring that each distributor receives the products and support relevant to their needs. We can help you take your product idea and make it a reality. Our team of experts at Controlled Products will help you focus on the details that make successful products work and free you up to do what you do best; sell and develop relationships. Each type of coating provides a different performance characteristic. From our in-house Silverback™ specialty coating to a standard foam based product, we have the ideal range of coatings to enhance performance, durability and longevity. Yarns bring the product to life. It is the yarn in the design that gives your product a unique look and feel. You can choose from many types of yarns available in the marketplace from a variety of manufacturers. The type of yarn can affect ball roll, speed of play, coolness, longevity, color and coefficient of friction. Our team of experts can help you to select the perfect yarn for your needs. Backing provides stability performance and consistency. We have many types of backing available depending upon your needs and expectations for product performance. Work with our team to select the right backing and backing manufacture. Our marketing and design team specializes in taking your idea and bringing them to life in your own marketing collateral. Whether it’s website design, sales sheets, technical sheets or ad placements, our team will come up with the concept design and implementation of how to make your product ideas a reality. Jordan joined Controlled products in March of 2016. He works with sales and/or customers in order to draft designs to meet the customer’s desired specifications. 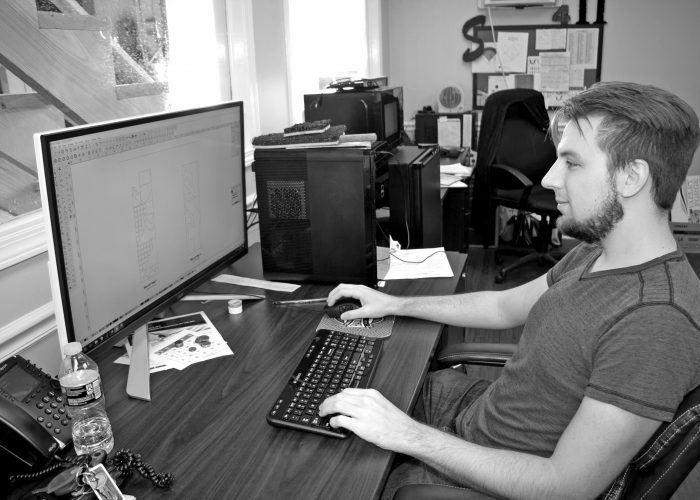 Jordan primarily uses FlexiSIGN, CAD, IGEMS, Photoshop, and Illustrator in his daily work. He also calculates materials needed for each design and then turns those amounts in to cut files to be cut on the water jet. Jordan earned his degree in Digital Design from Dalton State College. Chersten works as a Marketing Coordinator and is responsible for all of the social media and blogging for Controlled Products and its respective brands. Among other duties, some examples of her work would be the management and development of marketing materials, CRM management, website management, email marketing and assisting the VP of Sales and Marketing in putting together reports and presentations for clients. Chersten began working at Controlled Products in early 2015 and graduated with a B.B.A. in Marketing from Dalton State College in 2012. Mrs. Reed and her husband reside in Adairsville, GA with their daughter. 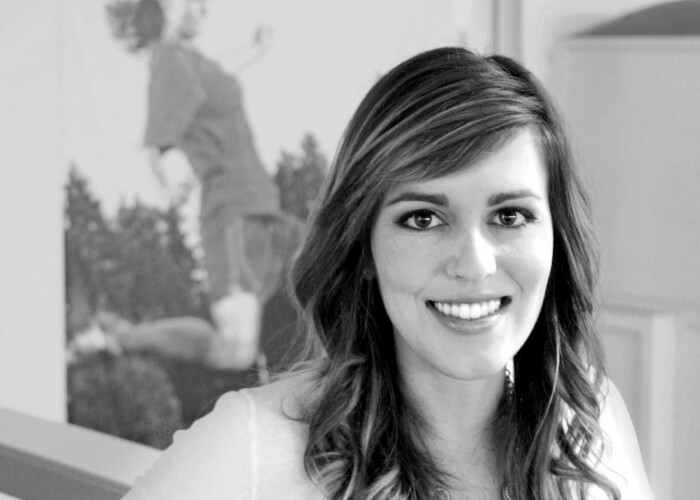 Joanna works as a graphic designer and is responsible for the design of all the sales and marketing collateral. Among many other applications, some examples of her work would be the design of brochures, web and print ads, spec sheets and packaging. Joanna has past experience of designing the Whitfield County Food Service Mascot as well as Dug Gap Elementary’ s new mascot, the Bandit. She began working at Controlled Products in 2012 and is a graduate of Berry College with a degree in Fine Arts. 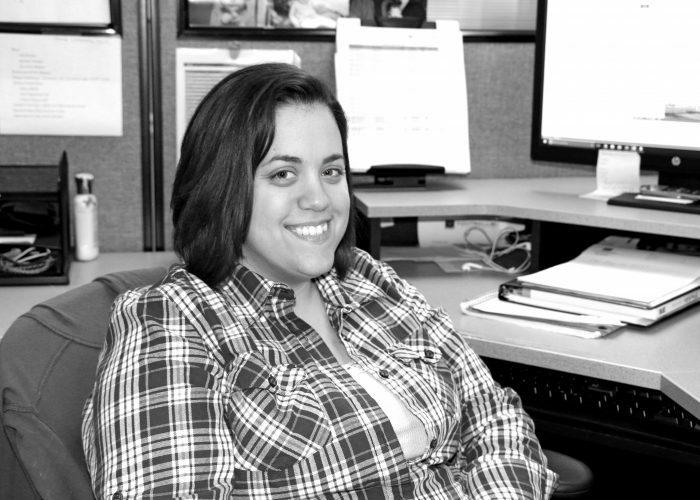 Wendy started with Controlled Products as a Customer Service Representative. In 2015 she was promoted to Sales Account Manager within our sales division. At present she is primarily involved in assisting with the growth of our Private Label Non Field Division. Her primary responsibilities will be to work on domestic and international accounts ranging from sports fields, batting cages, backyards, putting greens, bocce courts, and various other turf applications. Wendy comes with 13 years of previous Human Resources experience in the Manufacturing Industry. She attended Dalton State College and resides in Dalton, GA with her daughter. Jimmy joined Controlled Products in the summer of 1999 and currently serves as our Business Director for our Private Label Non Field Division. Jimmy’s primary responsibilities include supervising and managing all business functions associated with the P/L non field division. These responsibilities include generating new business as well as domestic and international customer relations. 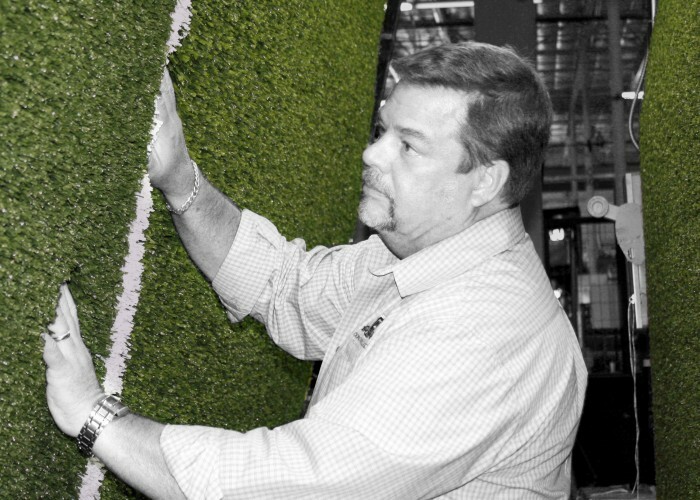 Jimmy has over 25 years of experience in the artificial turf industry where he has served in various rolls including, research and development, marketing, product development, new business development, installation, tech services, project management, and manufacturing as well as various over sight roles. Jimmy graduated from Georgia Southern University in 1990 with a Bachelor’s in Industrial Management with a minor in business. Mr. Rogers is an active member of the Frist United Methodist Church of Dalton and actively works with Boy Scouts of America and has previously served on several community boards. Jimmy and his wife Laura reside in Dalton with their two children who are both active in sports. 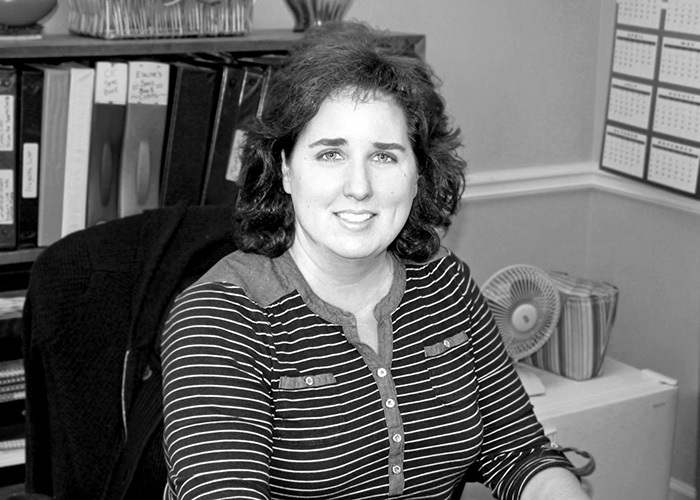 Elaine started with Sporturf in the spring of 1999 as a Customer Service Representative. She was promoted to Customer Service Manager in 2004. While working as the Customer Service Manager, Mrs. Pack took on more of an account management roll and was promoted to a Sales Account Manager in 2009 for our Sporturf division. 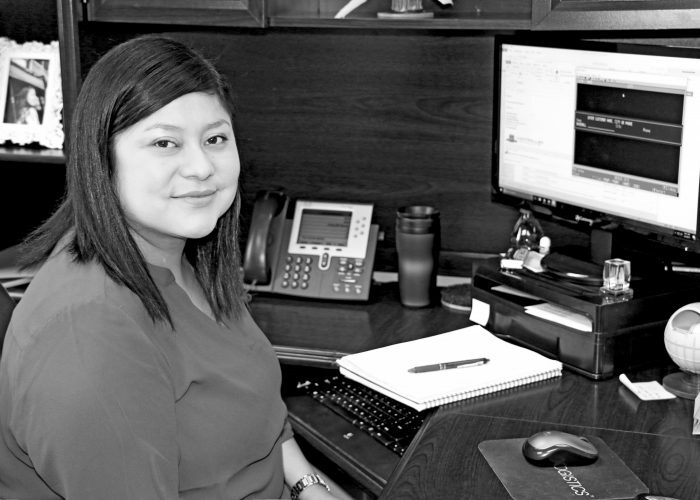 During 2014, Elaine was promoted to Senior Account Manager of our non-field division. During her tenure at Controlled Products she has worked on domestic and international accounts ranging from sports fields, batting cages, custom logos, backyards, putting greens, bocce courts, tennis courts, and various other turf applications. Elaine attended the University of Tennessee Chattanooga and completed her studies at Dalton State College. She and her husband Jarrett reside in Rocky Face, Georgia with their two children. 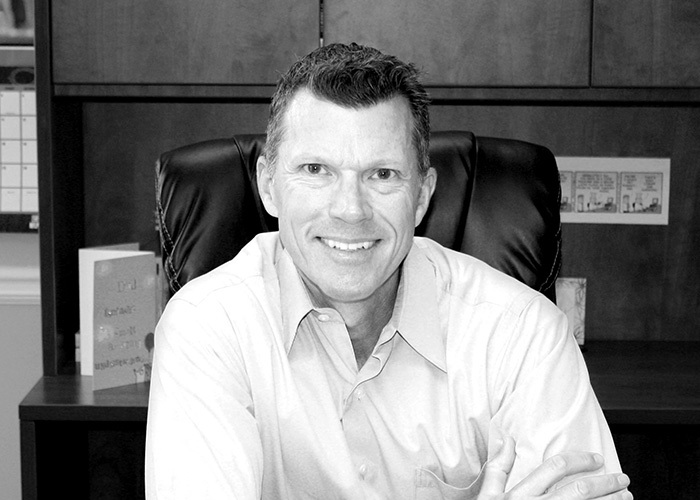 Scott joined Controlled Products, LLC in 2009 as Chief Operating Officer and was named President in 2010. Previously, Scott was employed by The Dow Chemical Co. from 1988 through 2009. Scott served in a number of commercial roles while employed by Dow with his last role being the Global Business Director for the Polyurethane Systems Flooring Division. Under his leadership, Dow was able to expand a North America business to a Global platform including new business developments in Europe, Middle East, China, Australia/New Zealand, and Japan. 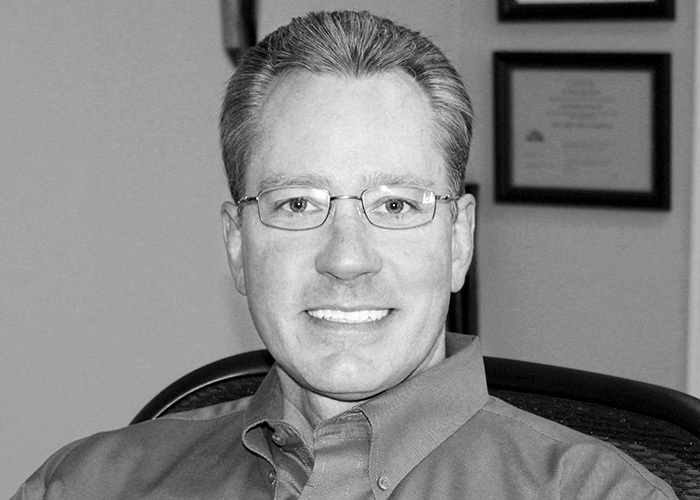 Scott has served as a board member of the Synthetic Turf Council since 2009 and most recently Vice Chairman of the STC. Scott has a BS in Business Administration from The Citadel and a MBA from Southern Methodist University. Scott and his wife Wendy reside in Ooltewah Tennessee with their two children. Kevin joined Controlled Product in the fall of 2013. Kevin is responsible for leading and managing all of Controlled Products domestic and international marketing functions. His responsibilities include all consumer product marketing and advertising, public relations, special events, sales network communications, database and customer relationship management, and lead generation. Mr. Barker has over 20 years’ experience in both business to consumer and business to business marketing. He has overseen a wide variety of domestic and global marketing accounts that have launched new products and brands for a number of companies such as Connor Sport Court International, Athletic Republic and Aacer Sports Flooring. Mr. Barker has a degree in Business Administration from University of Arizona and completed MBA work in Marketing from Denver University. Mr. Barker and his wife reside in Chattanooga Tennessee with their two daughters. 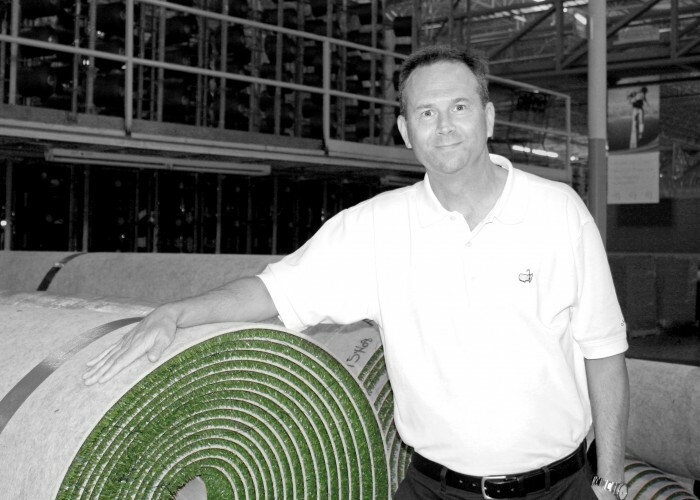 Howell joined Controlled Products in 2008 through the acquisition of Evergreen Synthetic Turf, where he had served as Chief Financial Officer since 2005. During his time at Evergreen, he helped grow the business and expand its profitability, eventually leading to its sale to Controlled Products. Prior to Evergreen, Howell spent thirteen years in the finance department for the City of Cleveland, Tennessee, where his primary responsibility for the last eight years was to manage the city owned golf course. Under his leadership, the course underwent a renovation and returned to profitability. 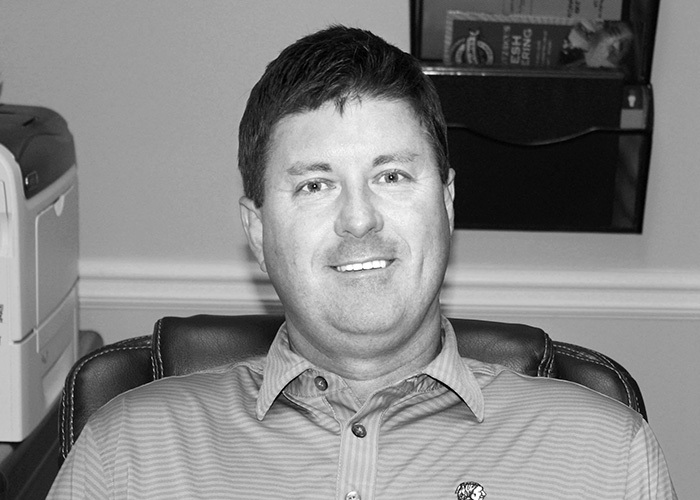 Howell majored in Accounting at the University of Tennessee and later completed his education through the PGM program administered by the PGA of America. Howell went on to become a Class “A” member of the PGA, where he remained active until 2008. He actively participates on numerous boards in Dalton, Georgia, while currently serving as President of Dalton Golf & Country Club. Mr. Kerr and his wife, Kayanne, reside in Dalton with their two teenage children. Frank joined the Controlled Products team in the summer of 2000. Mr. Harp has been working in and around the manufacturing field for more than 35 years. His responsibilities currently include the day to day operations of the manufacturing of all turf products, as well as development of new products. Mr. Harp’s most recent project has been the installation of our new state of the art coating machine, which has proven to be very efficient and quality driven along with all the ISO programs that he has put into place. Frank began working in manufacturing at a very early age and has continued throughout his career. He has worked for Little Lake Industries based out of California, Capitol Interiors out of Chicago and Wellington Industries out of South Carolina. Frank and his wife Angela reside in Cartersville Georgia. They have two grown children whom they enjoy spending time with.